Edward Hopperton was not happy when his mom glittered his egg costume! 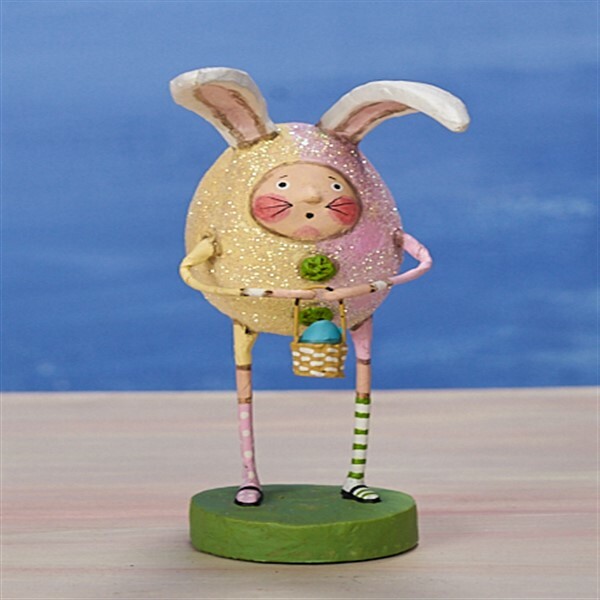 Designed by Lori Mitchell, he is approx 6" tall, made of resin, wire and glitter. WE think his costume is darling and just look at the socks he picked out on his own!